Winter term 2018 marks a new era in the UO Composition Department: Online writing courses. Composition instructors Kara Clevinger and Nick Recktenwald are currently piloting the first online writing courses at UO for second-level writing requirements, including WR122 and WR123. Online writing courses offer students from a wide array of backgrounds more accessible options for fulfilling their general education requirements. This ensures students can successfully meet their educational goals and graduate on time. The online writing classes lift scheduling or travel barriers that some students face when getting a college education. Students juggling job and family commitments outside the classroom, or those hailing from remote locations across the state or even around the world, can more easily meet their writing requirements with online classes. Although Kara and Nick attended a CAS/TEP/CMET training to learn the best approaches to designing and developing quality online courses and are now some of the most expert Canvas users on campus, they still want to improve their online classrooms. One thing they both plan to do in future is to incorporate more media into the Canvas pages. Both instructors explain that they’ve had to rethink their teaching personas as they engage with their students almost exclusively in writing. Yet teaching the online writing class has also shown them that they can cultivate new ways of teaching and interacting with students that help them grow professionally. Welcome Emily Simnitt as Associate Director of Composition! Multilingual writing specialist and composition instructor, Emily Simnitt, has recently been promoted to Associate Director of Composition. 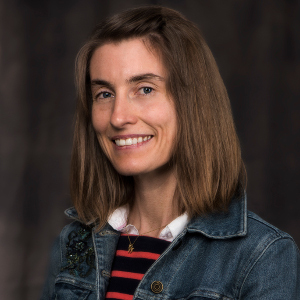 Emily Simnitt now oversees program development for the Composition Department, ensuring that all our writing classes are more inclusive for students with a diverse array of educational and linguistic backgrounds. 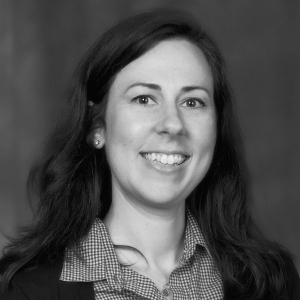 Emily has extensive experience teaching college writing, and she specializes in empowering ELL students in becoming successful academic writers. Emily’s research interests include digital rhetoric, multilingual writing spaces, and first year writing. For more information on Emily’s professional background, click here. The expertise and experience that Emily brings to our department open up new opportunities for students and faculty alike. Please help us in offering a warm welcome to Emily!